A year and a half ago, only one airline offered Silicon Valley travelers daily non-stop service from Mineta San Jose International to New York City. By next summer, there will be four. Delta just announced it will begin daily service from SJC to its New York JFK hub on June 8, operating one daily roundtrip with a 737-800. That means San Jose travelers will be able to fly non-stop to Newark on United or Alaska Airlines, and soon on either JetBlue or Delta to JFK. JetBlue started its SJC-JFK service in 2004, while Alaska and United both launched SJC-Newark flights last March. The new Delta flight will operate as a red-eye from San Jose, with a 10:35 p.m. departure time and a 7:15 a.m. JFK arrival. The return flight leaves JFK at 8:15 a.m. and gets to SJC at 11:45 a.m. JetBlue’s service is also an eastbound red-eye, while the eastbound United and Alaska flights depart SJC at 6:20 a.m. and 9:14 a.m. respectively. 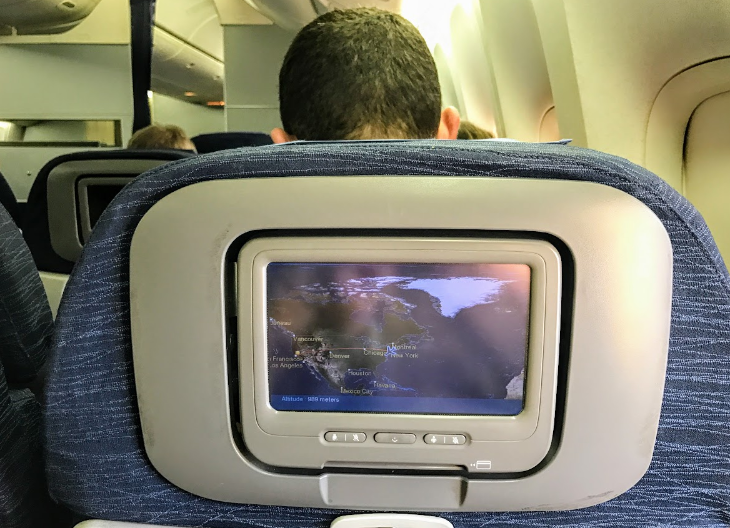 5 Are seatback screens becoming obsolete? 10 Should I convert Virgin America points to Alaska miles now? Casinos at Hartsfield-Jackson Atlanta Airport? Follow Chris on Instagram? Come on! In 2005, New York’s legendary Plaza Hotel closed down for a three-year renovation that left it with just 130 hotel rooms, and the rest of its space converted into condo hotel units and luxury condo apartments. And now the same thing might be happening to another iconic Manhattan property, the Waldorf-Astoria. According to the Wall Street Journal (paywall), the new Chinese owner of the once-tony-now-shabby midtown hotel – Anbang Insurance, which lost out to Marriott in an unsuccessful takeover effort for Starwood Hotels – plans to shut the property down next spring and convert most of its space into apartments. 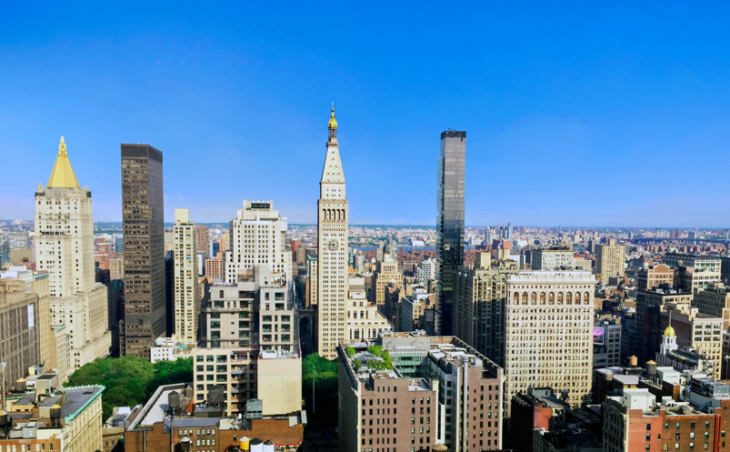 In recent years, the grand dame has fallen from grace with many business travelers– on TripAdvisor it now ranks #281 out of #475 New York City hotels. 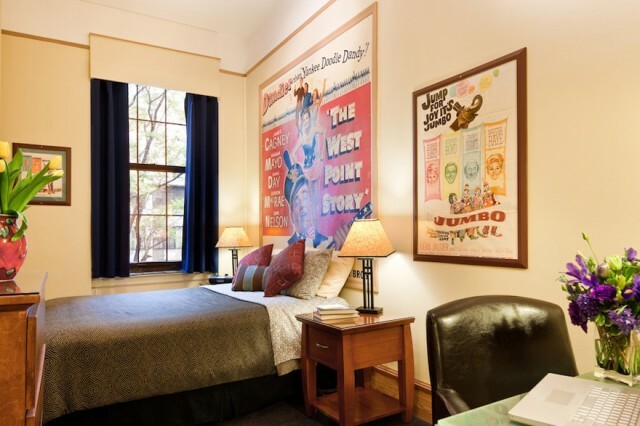 Nonetheless, a cursory check of rates for summer and fall find it still fetching close to $500 per night. 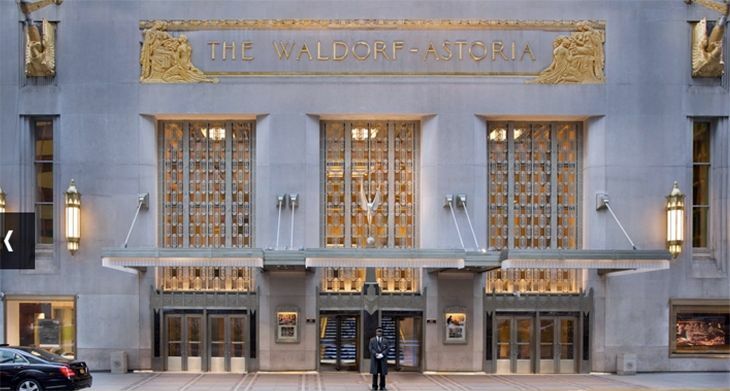 Citing “people familiar with the matter,” the newspaper reported that Anbang will repurpose up to 1,100 of the Waldorf’s 1,413 rooms into luxury condominiums to be sold to private owners. That would leave the property with 300 to 500 hotel rooms that would be upgraded to luxury standards. Hilton would continue to manage the hotel portion after the conversion, the article said. 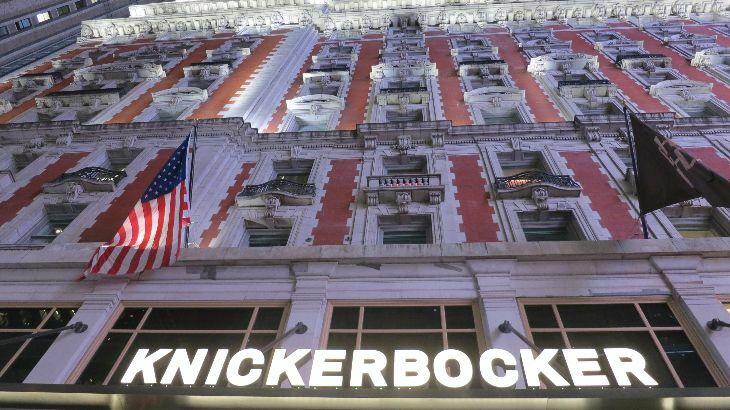 There was no estimate as to how long the renovation project – expected to cost more than $1 billion — would keep the hotel, which spans a full city block in Manhattan, closed. The Waldorf had long been used as a New York base for visiting U.S. presidents and for the country’s United Nations delegation, but the U.S. government had problems with continued use of the property after Anbang bought it, citing security concerns. Have you ever stayed at the Waldorf? For me, the hotel conjures up memories of my very first trip to NYC with my parents at the tender age of 13. Even when I’m not staying there, I still like to duck into its popular, dark and clubby Sir Harry’s lobby bar for a manhattan and nibblies! What do you think of when you hear about The Waldorf-Astoria? So many new hotels have been opening in New York City that we haven’t been able to keep up with them all in our periodic new hotel updates. So in an effort to catch up, here’s an all-New York update on some of the latest developments on the Big Apple lodging scene. 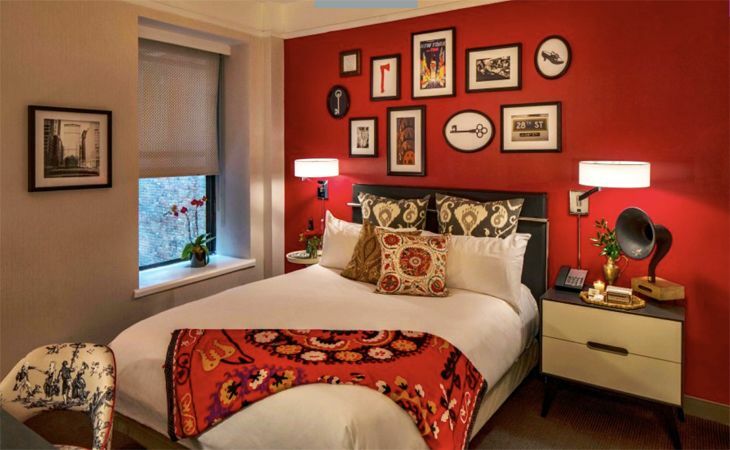 In lower Manhattan, longer-stay travelers have a couple of new lodging options. One is the Q&A Residential Hotel, the first commercial hotel from the business apartment company Furnished Quarters. 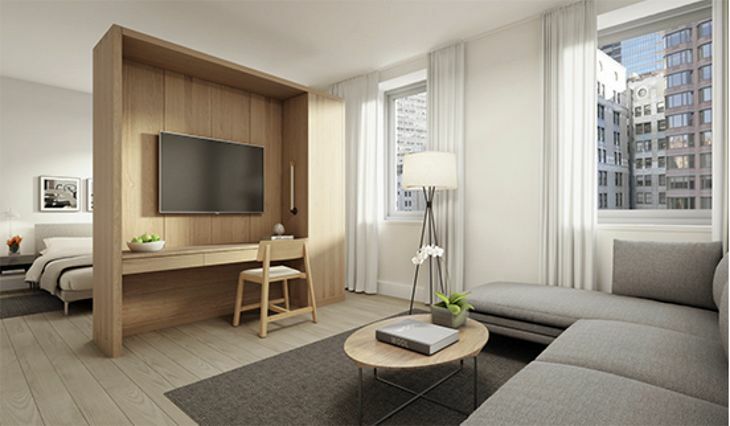 Guest units of 500 to 1,400 square feet are designed to serve as apartment-style accommodations for business travelers (although there is no minimum stay requirement), most of them no doubt in the financial services industry. Located at 70 Pine Street – the old art-deco landmark AIG Building – the hotel is just a couple of blocks from the New York Stock Exchange. 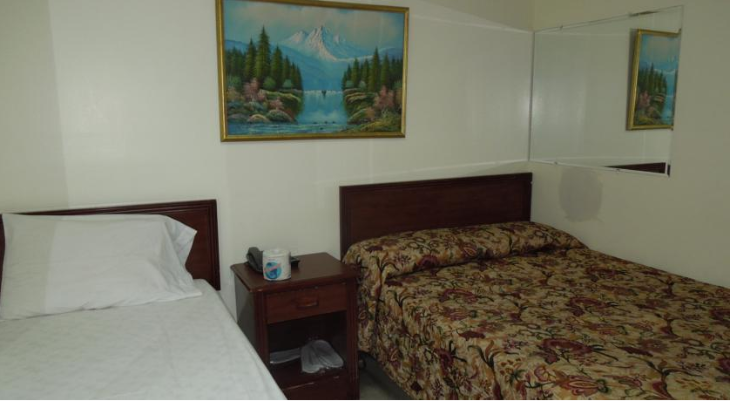 Guest units have full-sized kitchens, smart TVs and walk-in closets; some have washers and dryers. Advance purchase rates start at $371. Not far away at 84 William Street is the newest Manhattan location for AKA, which operates buildings with serviced residential-style suites for longer-stay business travelers. 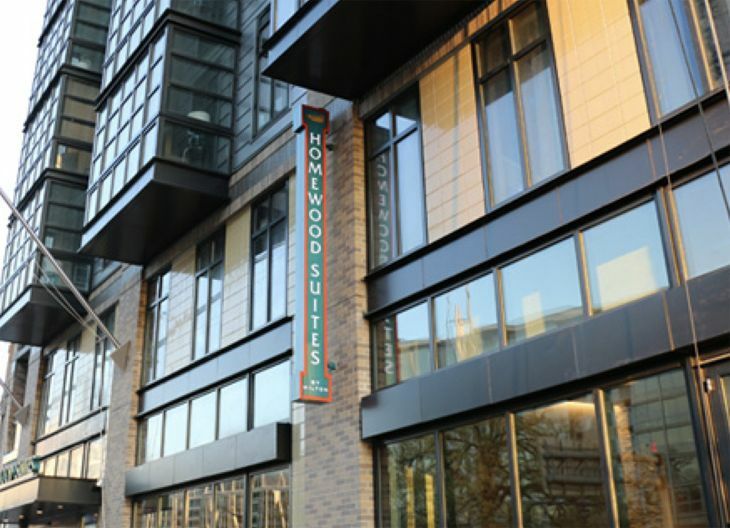 The new 132-unit AKA Wall Street has studio, one- and two-bedroom suites with hardwood floors, kitchens, free premium cable TV services including HBO, free local phone calls with voicemail, and free Wi-Fi, among other amenities. 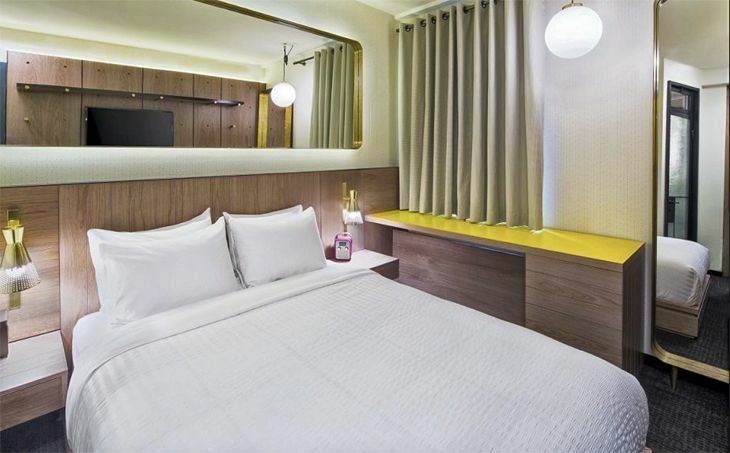 It has a 24-hour staffed front desk, free laundry facilities, housekeeping, and same-day dry cleaning, as well as a fitness center and business center. The property is taking reservations starting in the first week of June, with rates start at $295 a night. Manhattan used to have commercial hotels that catered only to female guests, like the Barbizon on East 63rd Street and the Martha Washington on E. 30th. Now the former Martha Washington has been made over and just opened as The Redbury New York (the entrance has been moved from 30th Street to 29 E. 29th Street, between Madison and Park). It’s a member of the Preferred Hotels group. 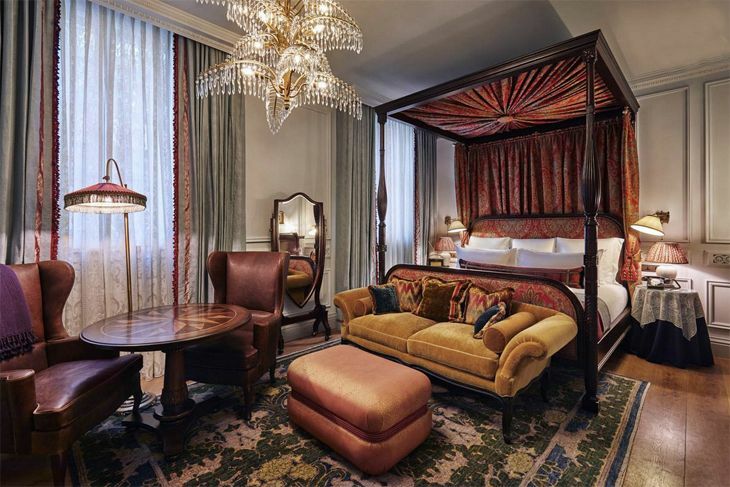 The boutique property has 256 rooms that offer Wi-Fi, designer bath amenities and in-room dining from the hotel’s on-site restaurant called Marta – part of celebrity restaurateur Danny Meyer’s Union Square Hospitality Group. Advance purchase rates start at $269. 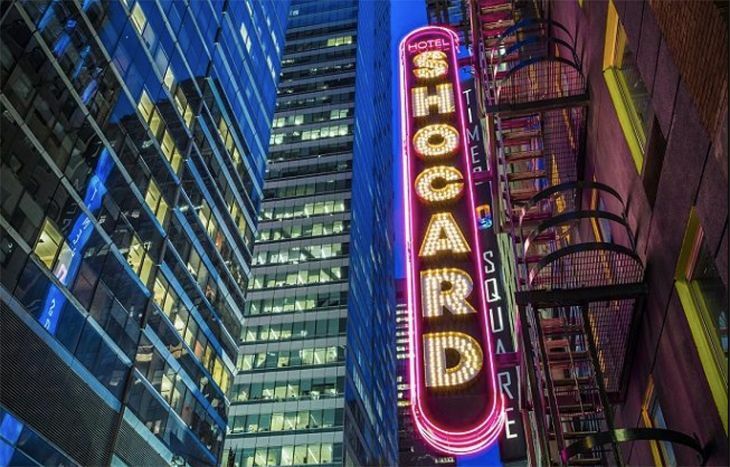 In the Times Square area (on 41st Street between Seventh and Eighth avenues) is the newly opened Hotel Shocard, a boutique property with just 45 rooms and two suites. 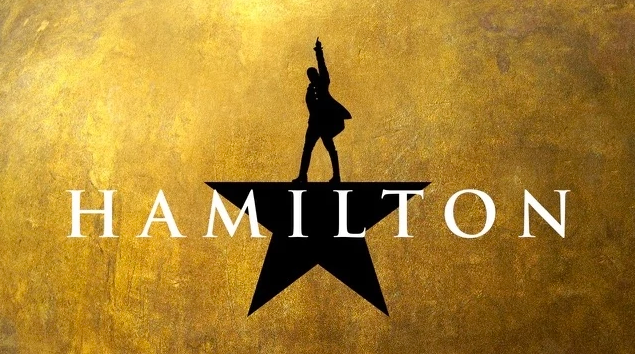 It sports a Broadway theater theme, with “inspiration from the grit and the glamour of NYC in the 1960s and 1970s,” the opening announcement says. (Well, grit anyway; it cites the movies Midnight Cowboy and Taxi Driver as representative of the “old Times Square” of that era.) 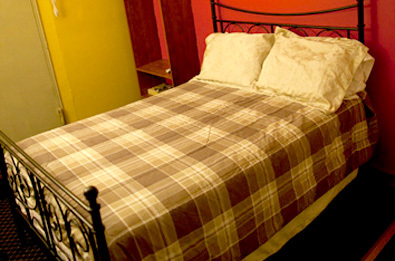 Anyway, rooms are equipped with furniture custom-made in Italy and the hotel offers free Wi-Fi and daily newspaper. It has a bar/restaurant called Gleason’s Tavern that serves breakfast, lunch and dinner and has a big selection of craft beers. Introductory rates start at $149. Note: None of these new hotels are part of major chains and their popular frequent stay programs. How does that impact your desire to stay at them? Please leave your comments below. There plenty of hotels to choose from in New York City. But everyone is usually in search of the top ranked ones– the best ones. But we wondered…what about the worst? TravelSkills took to TripAdvisor to see what people had to say about some of the site’s lowest ranked hotels in New York City. 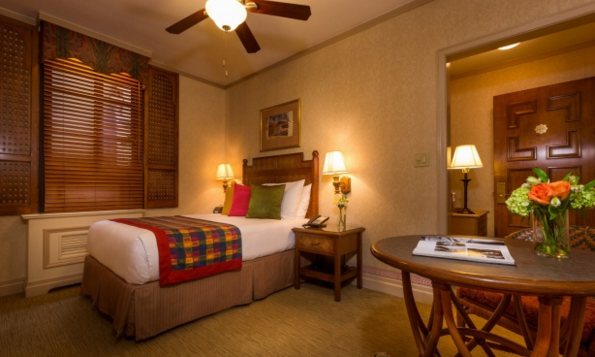 To see photos of what guests experienced at New York Inn, take a look at TripAdvisor’s traveler photos here. 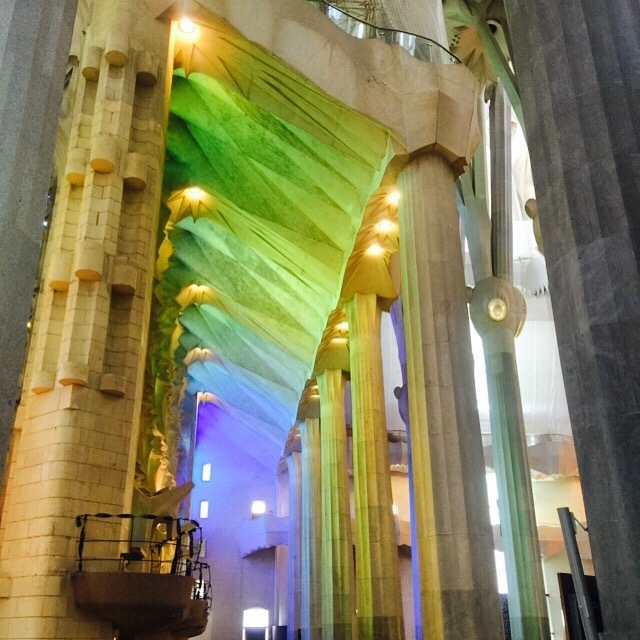 To see what guests experienced at La Semana, see TripAdvisor’s traveler photos here. “Very unfriendly reception. Extreme dirty hotel. How the City of NY can tolerate and name such a house as a hotel? 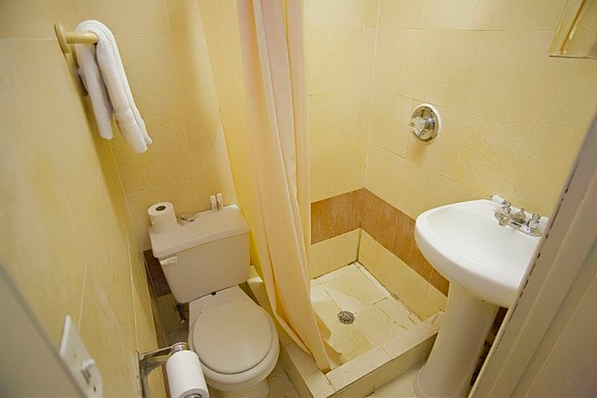 Click here to see what TripAdvisor users experienced at the World Hotel. These frightening finds might scare off a lot of travelers, but there are still many great hotels in New York City. TripAdvisor’s top-ranked NYC hotels have hundreds of reviews telling users why we should stay there. “It was a sanctuary from the din of 14th street and many others in NYC! My children live in Manhattan and Brooklyn and so I am a “regular” visitor. 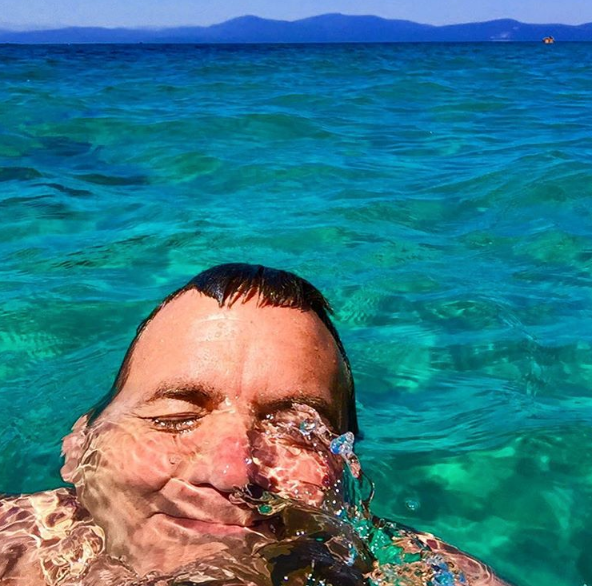 Click here to see traveler photos from guests at the Chelsea Pines Inn. “I spend hours researching the perfect hotel for our vacations and we have been extremely fortunate in our hotel experiences. Click here to see traveler photos from guests at the Casablanca Hotel. Click here to see photos of The Sherry-Netherland from Susan M. and other hotel guests. Now that you’ve seen the best and the worst, what do you think? 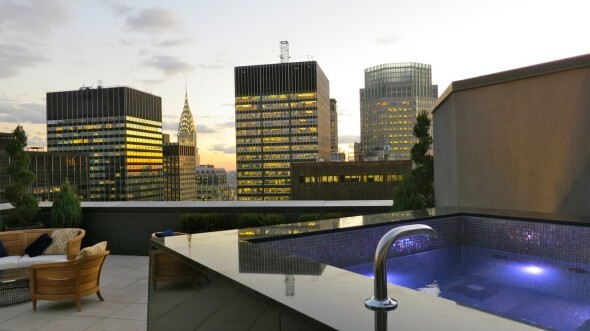 What’s your favorite NYC hotel? Least favorite? Please leave your comments below. 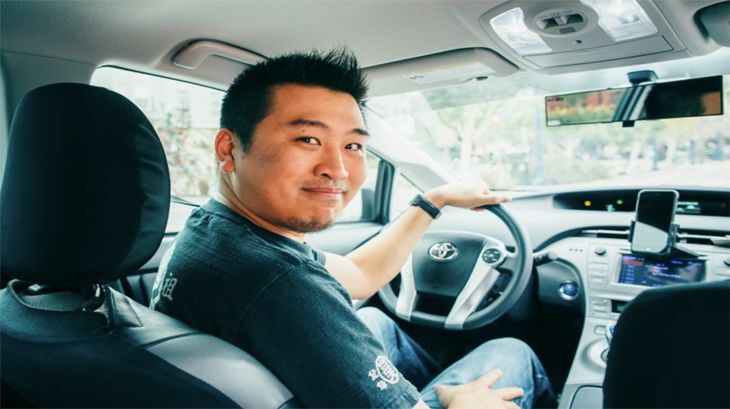 Are licensed taxi drivers justified in their fears that ride-sharing apps like Uber are going to take away a significant portion of their business? In New York City — the nation’s largest market for hired rides — the answer appears to be yes. The statistical website Fivethirtyeight.com got data from the New York City Taxi and Limousine Commission for the second quarter of 2015 and compared it with numbers from the same quarter a year earlier to see how the market was changing. 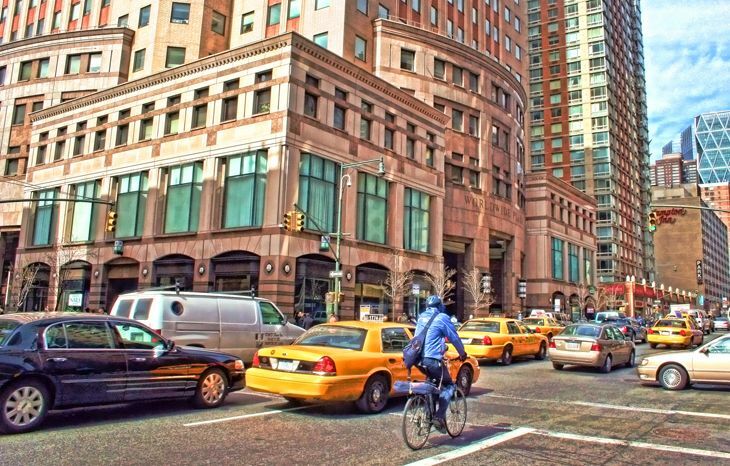 It found that in the borough of Manhattan’s “core” area — i.e., the southern half of the island, where the vast bulk of the business is — the number of passengers picked up by Uber drivers during the quarter increased by 3.82 million year-over-year. And the number of taxi pick-ups? It declined by almost the same amount — 3.83 million. “Throughout Manhattan, riders have shifted from taxis to Ubers millions of times, perhaps attracted to features Uber promotes as advantages: newer cars, no need to hail, driver ratings and no tipping,” Fivethirtyeight.com said. Taxis are still carrying more than four times as many riders as Uber drivers in New York City overall, but the trend lines are clearly going up for Uber and down for taxis. Meanwhile, although business is good for Uber, some of its drivers are less than thrilled with the current business model. An Uber drivers’ group called Uber Freedom has called for a three-day strike in major U.S. cities over this weekend, urging drivers to shut down their apps and stay off the job. 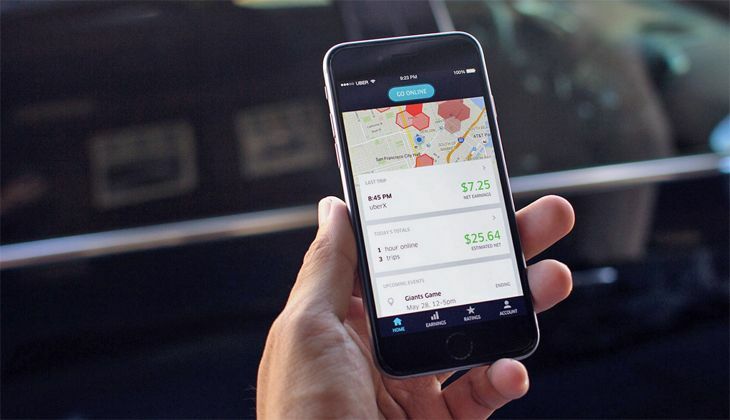 The group wants Uber to add a tipping option to the app, to increase rates for UberX rides by 60 percent, and increase the minimum fare and the cancellation fee to $7. It’s almost two years behind schedule, but New York City is about to cut the ribbon on a subway project that should prove to be a major benefit for business travelers attending conventions in the Big Apple– or visitors headed to the city’s burgeoning Far West Side including the High Line and Hudson Yards development. 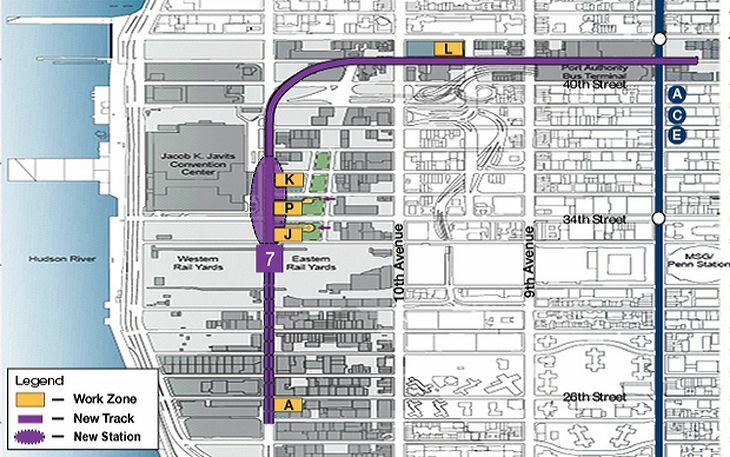 It’s a mile-long extension of the Number 7 subway line that will allow conventioneers to zip underground to Manhattan’s huge Javits Center, sparing them an aggravating taxi (or Uber) ride in the city’s notorious crosstown traffic. The Metropolitan Transportation Authority has set a September 13 start of service on the extension. The new 7 line runs east to west across midtown Manhattan along 42nd Street, with stops at Grand Central Station, Fifth Avenue and Times Square. 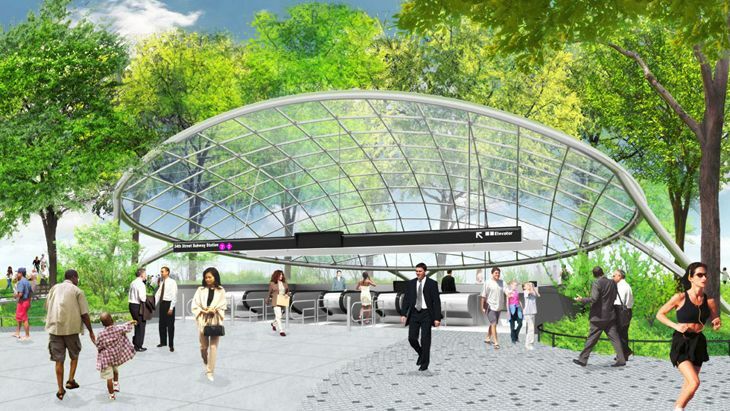 The new extension will continue west from Times Square to 11th Avenue, then turn south to 34th Street and the Javits Center, where a new station — 80 feet underground — has been built. The new station is called 34th Street-Hudson Yards. Besides the convention center, it will also serve the eventual residents of the huge Hudson Yards residential project that is going up nearby. The Number 7 extension is the first new subway line to open in New York since 1989. So what’s so unusual about this new line? If you’ve ever sweltered in a New York underground subway station during the odiferous dog days of summer, here’s a real bonus: The new 34th Street–Hudson Yards station is the first one in the entire system to be climate-controlled. Ahhhh. New York City is too crowded! Crowding in New York City is reaching epidemic proportions. Especially in Midtown and particularly in Times Square. In the rare case you haven’t been to Manhattan lately, you should know that the number of tourists visiting New York City hit an historic high last year. This week the NYC Mayor’s office proudly proclaimed that a whopping 56.4 million showed up to take in its sights and sounds. That’s over 20 million more visitors than 14 years ago, in 2000, when 36.2 million showed up. 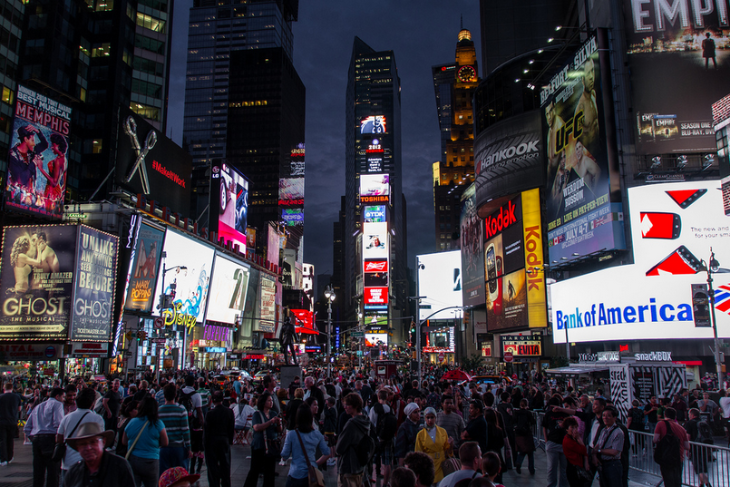 If you have been to New York recently and dared to venture into the Times Square area, you know that it feels like all 56 million showed up on the day you got there, right? 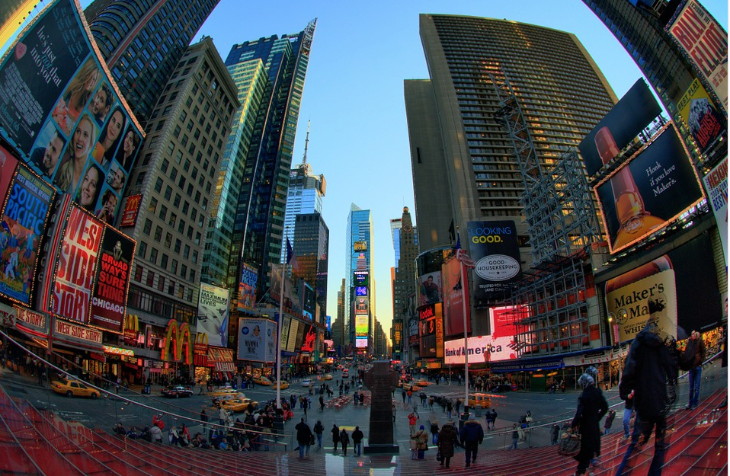 Roughly 480,000 pedestrians pass through Times Square every day. 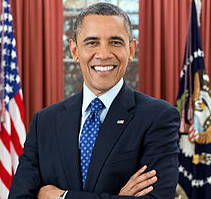 Before 2009, that number was 350,000. Sometimes you have to fight just to get in or out of your hotel room door. 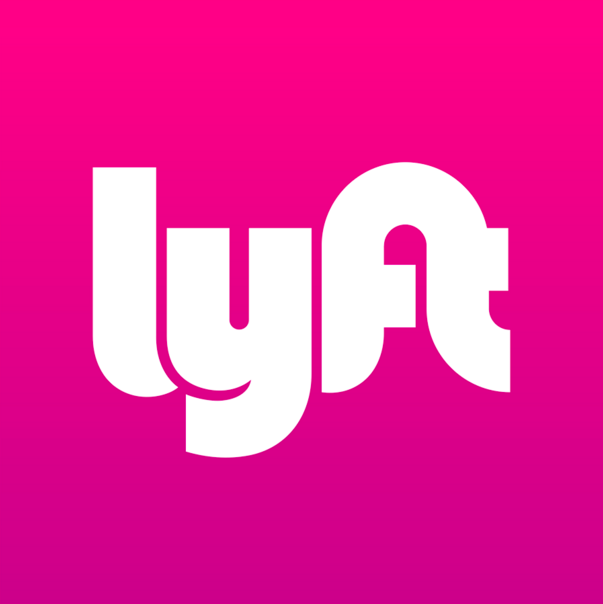 Finding a cab or open seat at a restaurant is nearly impossible. Bumping into first timers looking up and pointing from sidewalks, hawkers or people dressed up as costumed characters is a regular occurrence. 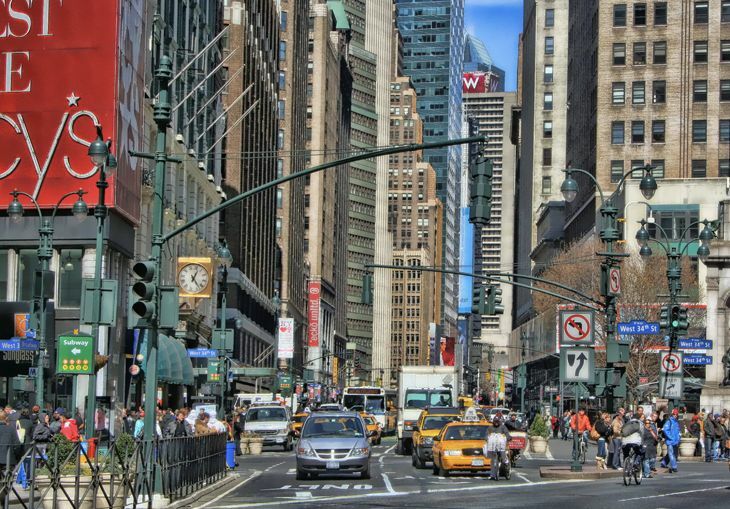 The problem for me, and I’m sure for many TravelSkills readers is that business meetings frequently take place in Midtown. So if you want to stay close to your meeting, you are kinda stuck. Our recommendations for the two best all around credit cards offering 40K bonus miles are …. I used to think I was being smart by staying at the InterContinental or Westin Times Square, both located on what used to the be the quiet western edge of all the action. But with the resurgence of Hells Kitchen and Clinton neighborhoods along 8th and 9th Avenues, it’s packed over there, too. I’ve found some respite in the limited service hotel village that has spring up between Herald Square and the Empire State Building, but even that’s becoming overcrowded and frequently sold out. So I’m looking for some advice here. 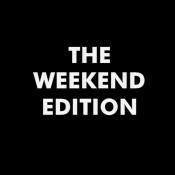 What are the best (or your favorite) hotels on the fringes of Midtown, away from the madding crowds, that are close enough to walk to Midtown, but far enough away that I don’t feel like I’m part of the circus? Please share any tips or advice in the comments below! United regional jets will get Wi-Fi. 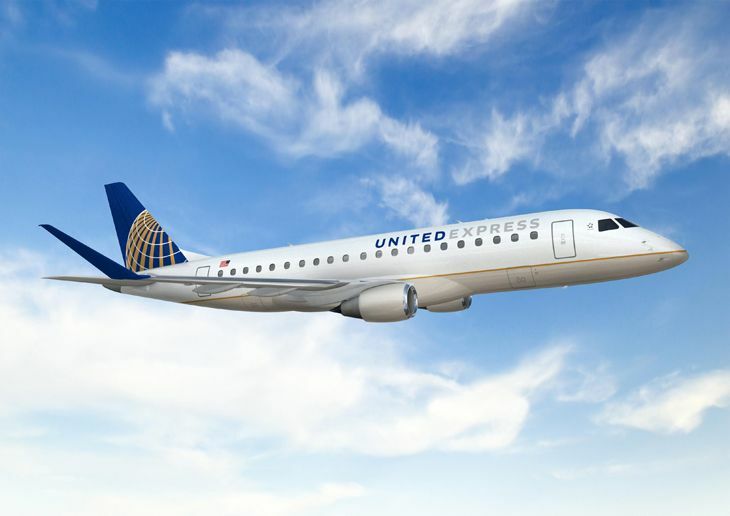 United said it will expand in-flight Wi-Fi service to more than 200 of its two-cabin United Express aircraft, including Embraer 170s and 175s, and CRJ700s. The service should be available on some planes before year’s end, with the whole job finished by next summer. “Early next year,” a spokesman said, “United expects to expand personal device entertainment to these aircraft, enabling customers to select from a wide range of movies and television shows to view on their Wi-Fi-enabled iOS and Android devices using United’s mobile app, as well as on laptop computers.” Some good news: Gogo’s wi-fi works very well on smaller aircraft where there are not too many passengers hogging bandwidth. While this installation announcement is great news, United still lags behind other major carriers when it comes to consistent inflight wi-fi. Just in: Lufthansa’s pilots planning another strike this week. Delta’s 747s disappearing faster. Like other airlines, Delta is phasing out its 747 fleet– last summer we reported that it was unloading four 747s in the coming year. 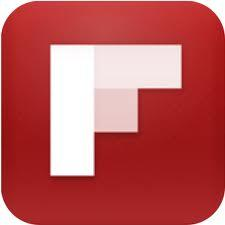 This week, the carrier announced that it is speeding up that process. Delta’s CEO said the airline’s 747s — used on Pacific routes — should all be gone by 2017. It is acquiring new Airbus A330s to replace the Boeing jumbos. How do you feel about this? Leave your comments below. United added new nonstops to Taipei and Chengdu earlier this year. Etihad’s new “Jetihad” flights using a Jet Airways 777 to Abu Dhabi start on Nov 18. Emirates deploys a big A380 on SFO-Dubai (SFO’s longest route) on December 1. Hawaiian Airlines will fly nonstop SFO-Maui starting November 20. Turkish Airlines nonstops to Istanbul start on April 13, 2015. British Airways new A380 flights to London start on April 2, 2015. Swiss International will increase its “Roche coach” frequencies between Zurich and San Francisco from seven to 13 a week from July 4-August 23, 2015. On the domestic front, JetBlue’s new flights featuring lie-flat Mint seats crank up on Oct 26. 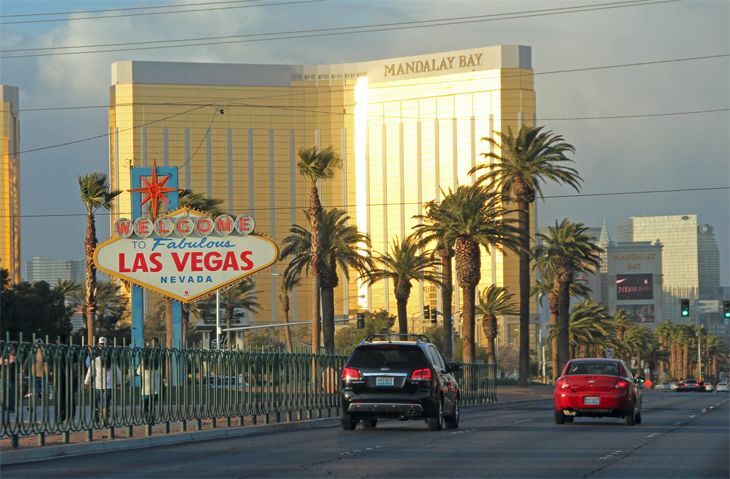 And it adds new nonstops to Las Vegas on January 5. Foreign carriers boost U.S. service. Subject to government approvals, Ethiopian Airlines plans to launch new 787 service next June between Addis Ababa and Los Angeles three times a week (via Dublin, Ireland, which means you can now fly to Ireland on Ethiopian Airlines) … Effective November 10, Delta’s Skyteam partner KLM will boost its Atlanta-Amsterdam schedule from seven flights a week to 12 … Air France will deploy an Airbus A380 super-jumbo on its Paris-Miami route from December 1 through March 28 … In March 2015, Philippine Airlines will begin new east coast service, flying from Manila to New York JFK via Vancouver four times a week, using a two-class A340-300. 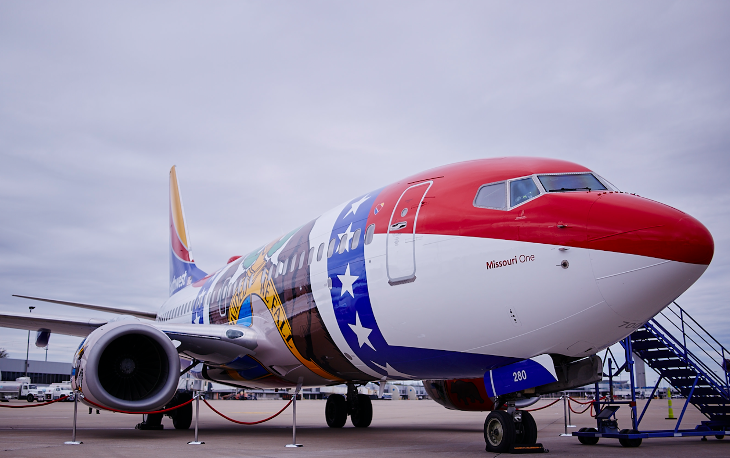 Virgin upgrades transatlantic fleet. Delta’s joint venture partner Virgin Atlantic has taken delivery of its first new 787-9 (the “stretch” version of the 787), and will put it into service October 28 between London Heathrow and Boston six times a week. Over the next few months, Virgin will deploy other new 787-9s from Heathrow to Dulles, Newark and JFK. 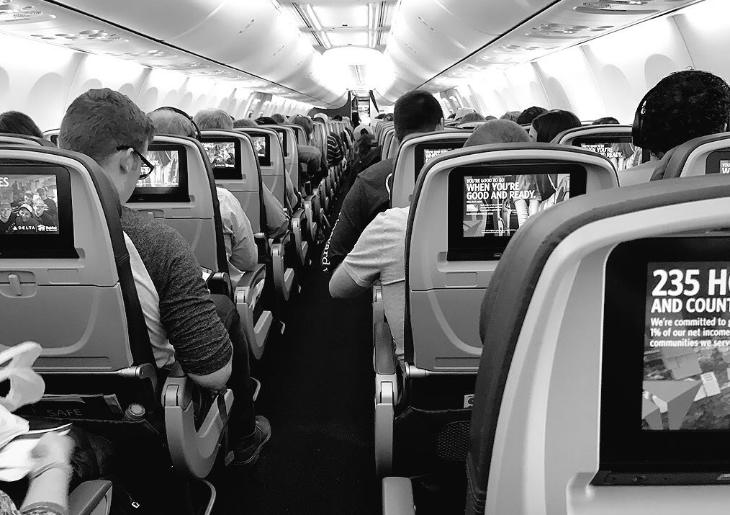 The aircraft have 31 seats in Upper Class, 198 in economy and 35 in Premium Economy; the latter section has a new “Wander Wall” — “a social space where customers can stretch their legs and mingle with other passengers,” the company said. London Bonus: Did you know that you can earn 7,500 to 35,000 MileagePlus bonus miles for United or Air Canada flights from the US or Canada to London this fall? To get the miles, register online and book between now and December 12 for trips through December 12. Hilton’s new brand. 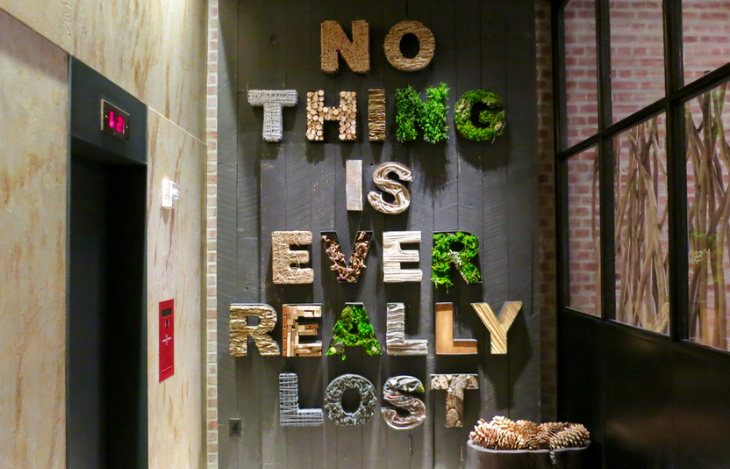 What exactly is a “lifestyle brand” in the hotel industry? The definition is decidedly vague, but now Hilton is launching one of its own — Canopy Hotels. 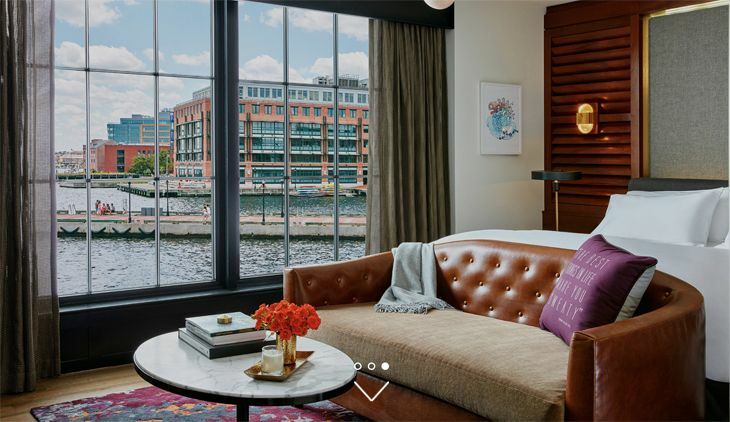 The company says the properties will provide “simple, guest-directed service, thoughtful local choices, and comfortable spaces, so guests simply feel better going forward.” (Isn’t that what all hotels do?) 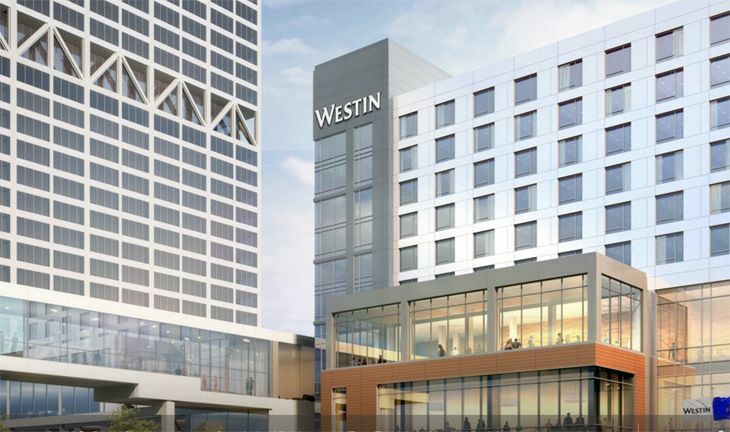 They’ll start opening in 2015; Hilton has letters of intent for Canopy properties in Portland,. London, Miami, Washington D.C., San Diego, Nashville, Savannah, Indianapolis, Charlotte, Oklahoma City and Ithaca, N.Y.
Another new Hyatt in NYC. 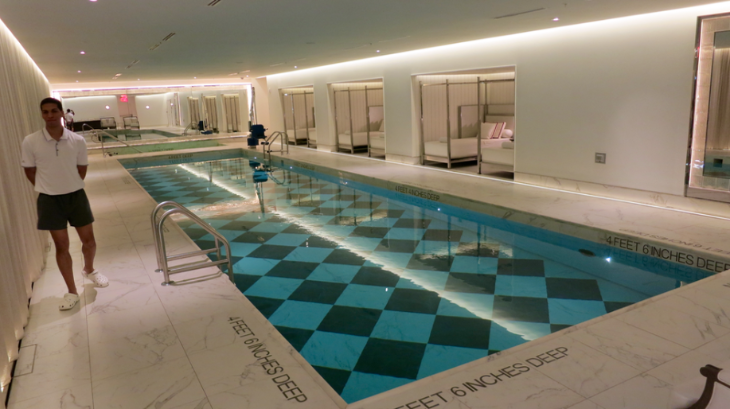 Just two months after opening its posh Park Hyatt on West 57th Street, Hyatt has cut the ribbon on another new Manhattan property. 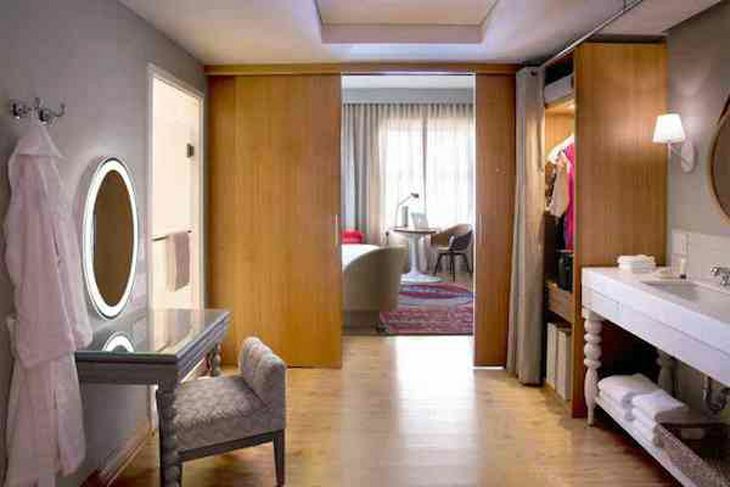 The 122-room Hyatt Herald Square New York is on West 31st Street between Fifth Avenue and Broadway– a still somewhat gritty area that is now packed with new, primarily “limited service” hotels. This full service Hyatt has three food and beverage outlets including a rooftop cocktail lounge with views of the Midtown skyline. 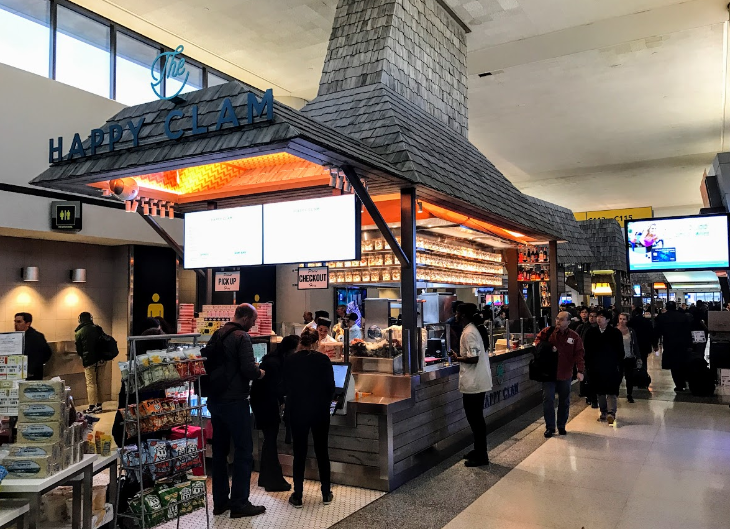 >The intersection of America’s obsession with food and travel. >Virgin America’s cutting-edge ad agency issued a mind-dulling six-hour online video about a fictional “BLAH Airlines” to show how boring its competitors are. 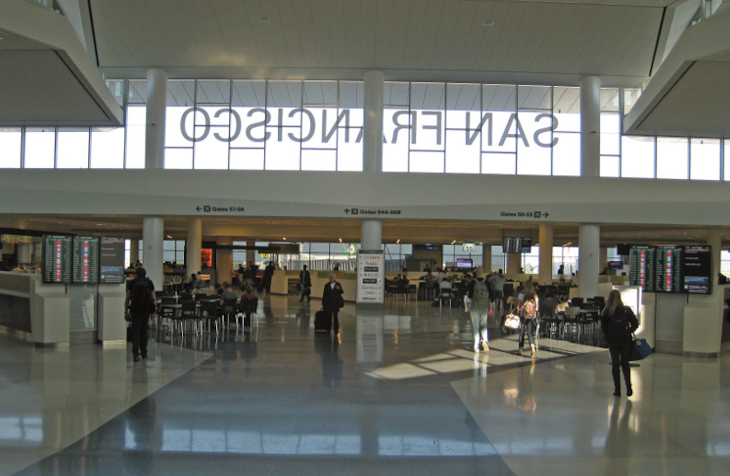 >Frequent travelers are getting some new perks and facilities at SFO. >AT&T has a new plan for international calling. 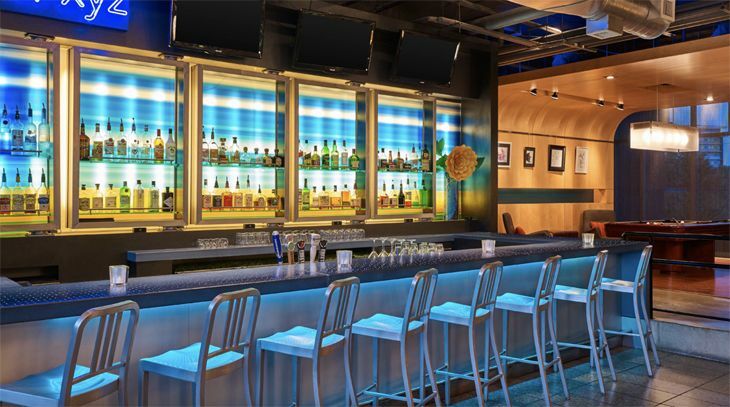 >See Virgin America’s new facilities at Dallas Love Field. 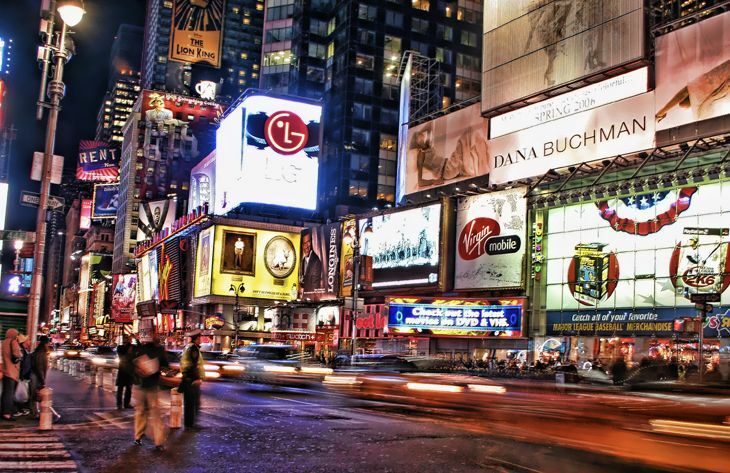 When it comes to business travel, New York City is on a roll. 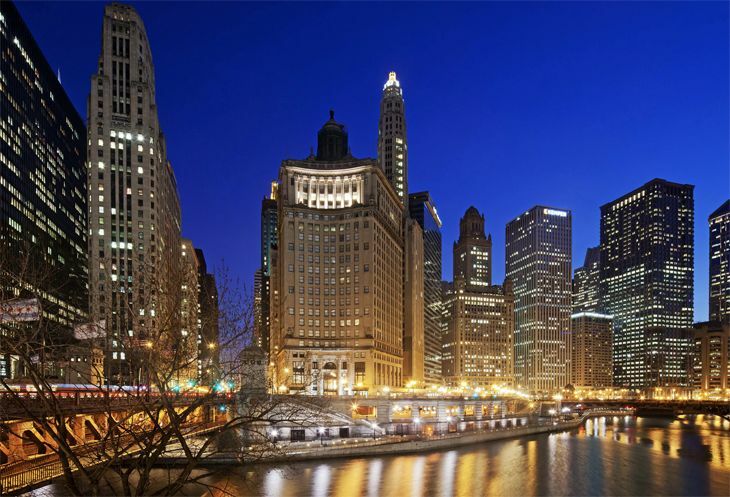 In 2013, the city hosted a record 54 million visitors, whose spending produced nearly $60 billion in economic impact. 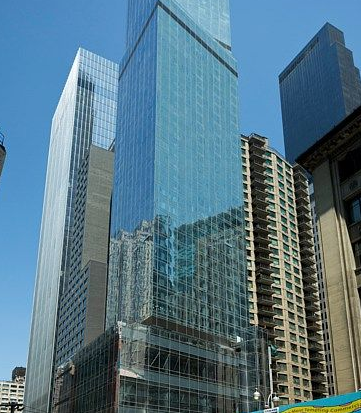 While most business travelers have likely bedded down at hotels in the popular, central Midtown area, demand has prompted a hotel building boom across all five boroughs. 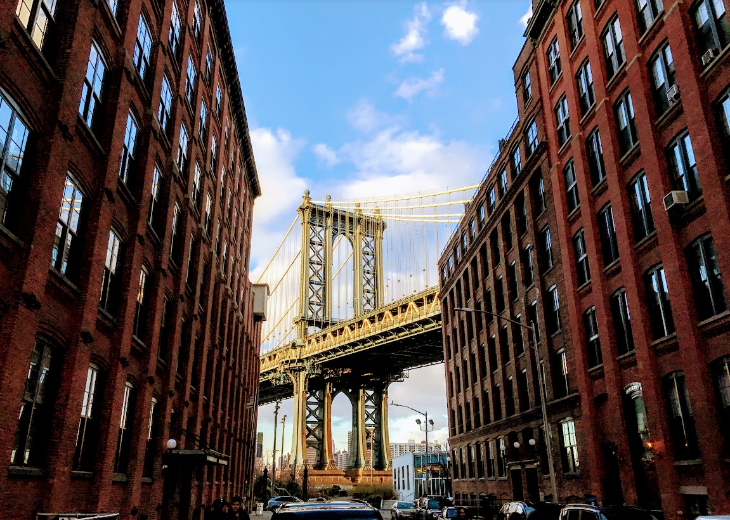 Over the last year a slew of new, upscale options have come online in areas like the Upper West Side (NYLO hotel), Greenwich Village (The Jade Hotel), Brooklyn (Wythe Hotel) and Queens (Z Hotel). 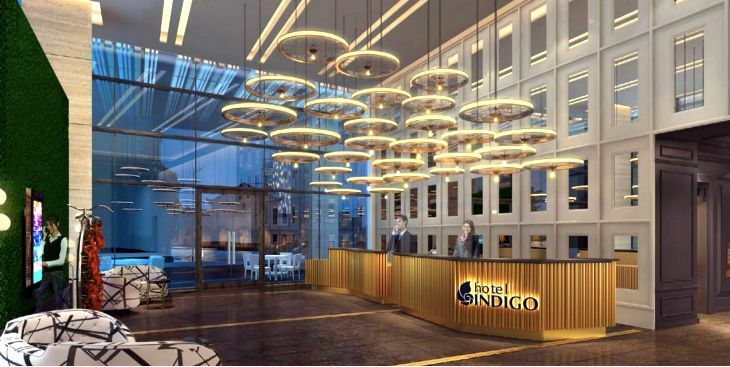 Meanwhile, the Herald Square area has seen an influx of mid-priced, brand name hotels such as Best Western Premier, Hilton Garden Inn, Holiday Inn Express and Marriott Courtyard, among others. Last winter Marriott opened two new hotels inside the same building: a 378-room Courtyardand a 261-room Residence Inn. The soaring steel and glass tower near the southwest corner of Central Park is the tallest hotel building in the western hemisphere. 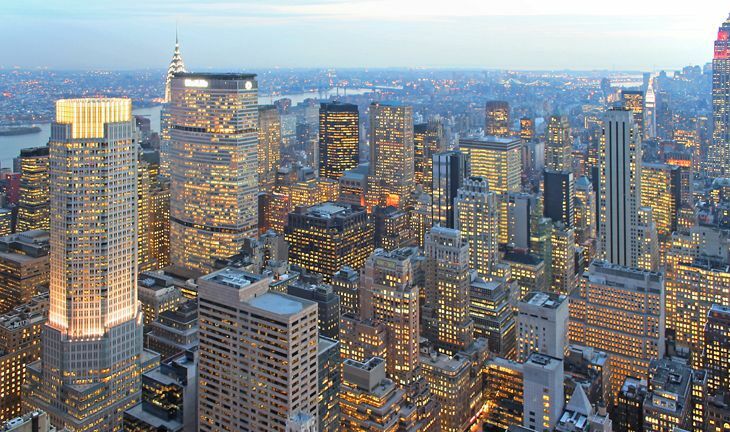 More than 5,000 rooms have been built in the last two years, and by the end of 2014 the city will have more than 100,000, reports NYC & Company, the city’s tourism organization. While New York City is the US’ most frequented point of entry for international travellers, the airport customs and immigration process can be slow and frustrating, in part because the city’s largest airports, John F Kennedy International (JFK), Newark Liberty International andLaGuardia, are a mix of old and new. However, the arrival experience at New York City is improving. 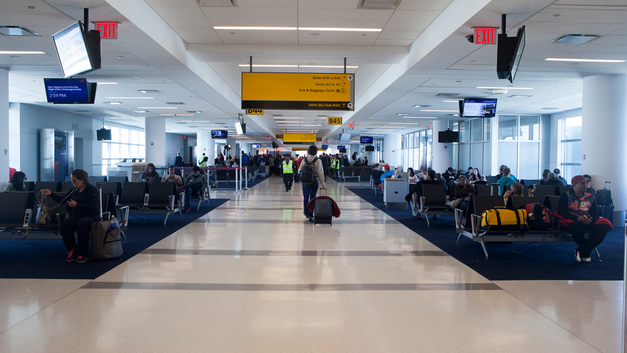 In May 2013, Delta Air Lines moved into a brand new $1.4 billion international terminal at JFK’s Terminal 4. In October, the airline rolled out new automated passport control kiosks in its customs and immigration hall, which helped cut the 35-minute average wait time in half. 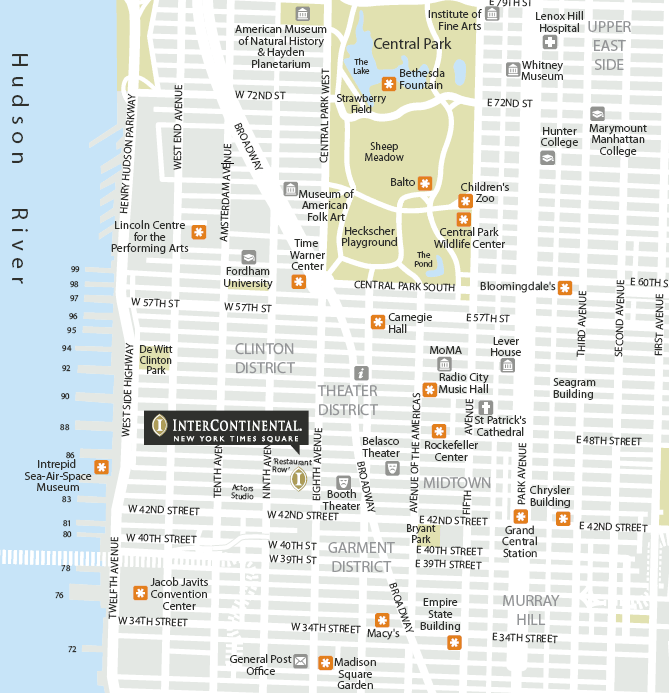 Where should you stay in New York City? Dine? Entertain or spend a free afternoon? Read Chris’s entire BBC post here. 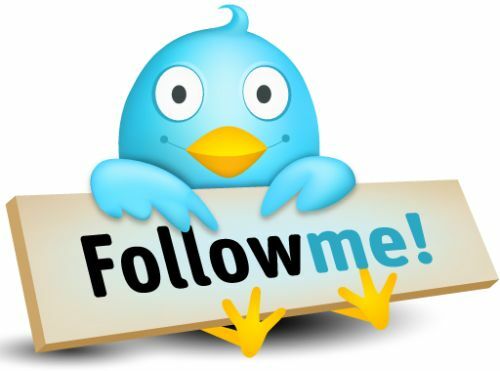 But come back to TravelSkills to post your comments, observations, tips and advice! New hotels are sprouting up throughout New York City like mushrooms after a storm—New York has added more than 5,000 rooms in the last two years, and by the end of 2014, it will boast over 100,000, according to NYC & Company, the city’s tourism organization. In December alone, Marriott will open two brand new hotels inside the same building: a 378-room Courtyard and a 261-room Residence Inn. The soaring steel and glass tower near the southwest corner of Central Park is now the tallest hotel building in the western hemisphere. 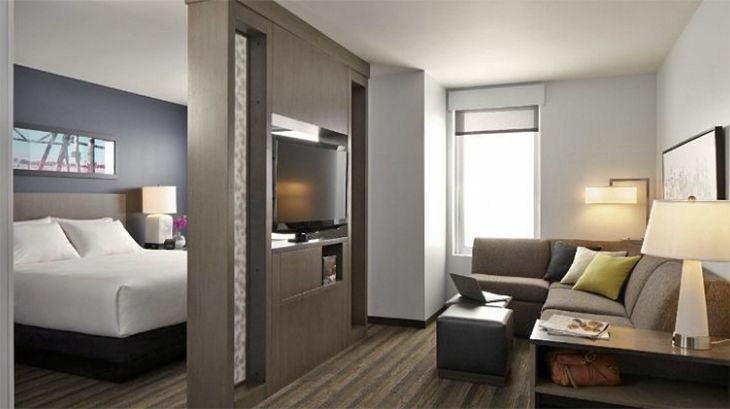 Also in December, Hyatt opens the brand new-from-the-ground-up 487-room, 54-story Hyatt Times Square. While heavy demand is keeping hotel prices high, many of Manhattans newest hotels are in the less expensive category—for example, in an area between the Empire State Building and Herald Square (just south of Times Square)… there is a concentration of brand new mid-priced, big brand hotels such as Best Western Premier, Hilton Garden Inn, Holiday Inn Express or Marriott Courtyard (among others). 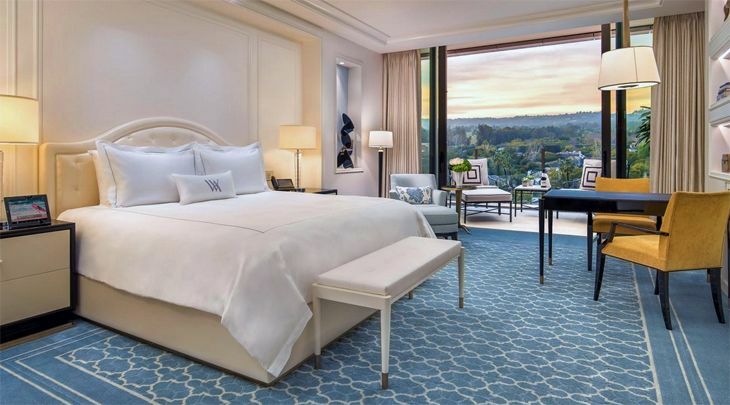 These hotels offer relatively good deals, new (but small), modern rooms, free wi-fi, breakfast and points in your favorite hotel loyalty program– definitely worth checking out. While most business travelers have likely spent the night at hotels in the popular, central Midtown or Times Square areas, demand has prompted a hotel building boom across all five boroughs of the city, providing a slew of brand new, upscale options in areas like the Upper West Side (NYLO hotel), Greenwich Village (The Jade Hotel) Brooklyn (Wythe Hotel) or Queens (Z Hotel). Despite all the new construction, upscale hotels in NYC are expensive. 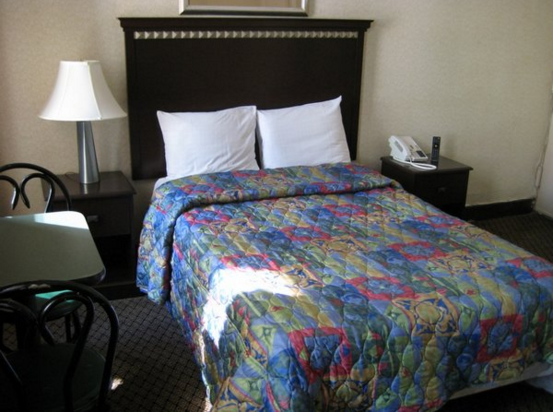 It’s difficult to find a decent hotel room for less than $400 per night. Of course there are some times of year when rooms go for much less than that (like early January) but for the most part, you are going to have to part with a lot of cash for a nice room in NYC. The opulent 909-room New York Palace hotel (on Madison Ave in Midtown) just completed a major $140 million re-do of all rooms and suites. 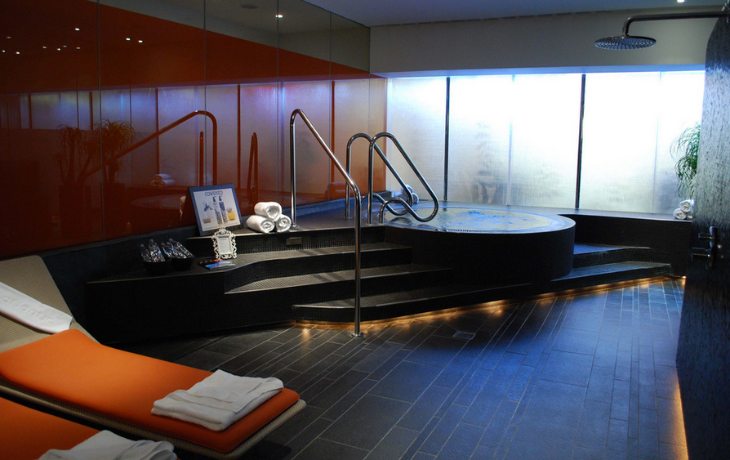 Its triplex suites (see photo) are unlike anything I’ve ever seen in NYC. Wowza! The mod, eclectic 178-room Hyatt Union Square opened in April 2013 one block south of Union Square Park on Fourth Ave and 13th St. The chic 240-room Viceroy New York opened in October 2013 on West 57th Street near Carnegie Hall– and right next door to the Parker Meridien. The urbane 208-room Quin hotel opened down the street last earlier this month. The new 60-room High Line Hotel (on the west side of town in Chelsea) is part of a mixed-use block that is part hotel, part Episcopal seminary and part residential building. 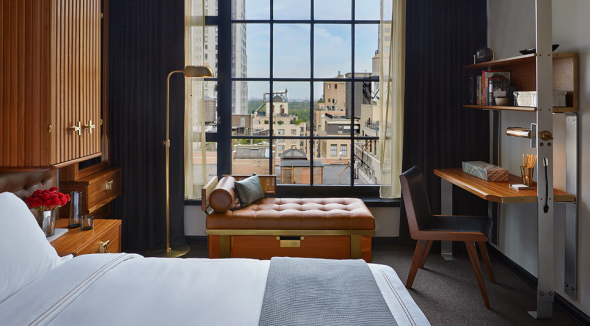 It’s fashionista central at the new 197-room Refinery Hotel, located in the garment district near Bryant Park. The opulent 909-room New York Palace hotel (ion Madison Ave in Midtown) just completed a major $140 million re-do of all rooms and suites. 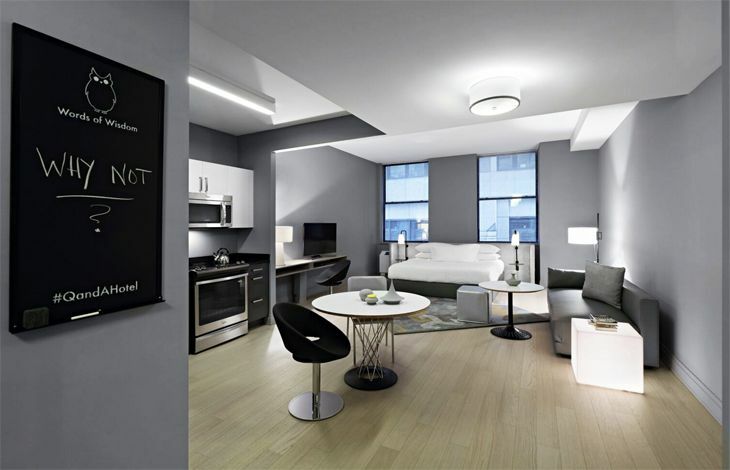 Its triplex suites (see photo) are unlike anything I’ve ever seen in NYC. Wowza! 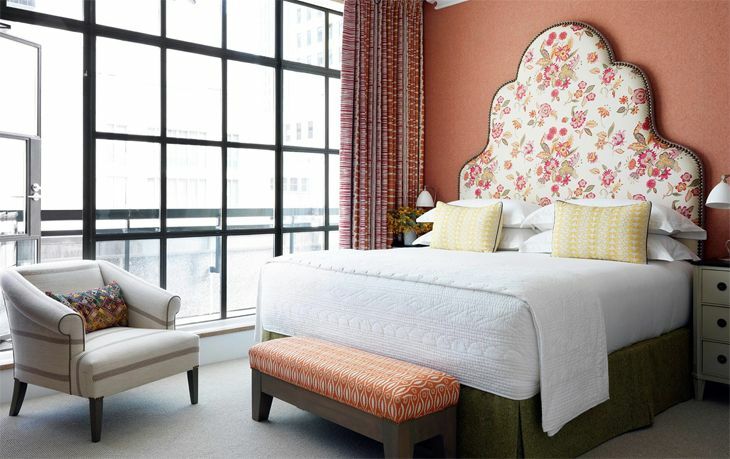 The chic 240-room Viceroy New York opened in October 2013 on West 57th Street near Carnegie Hall– and right next door to the Le Parker Meridien. 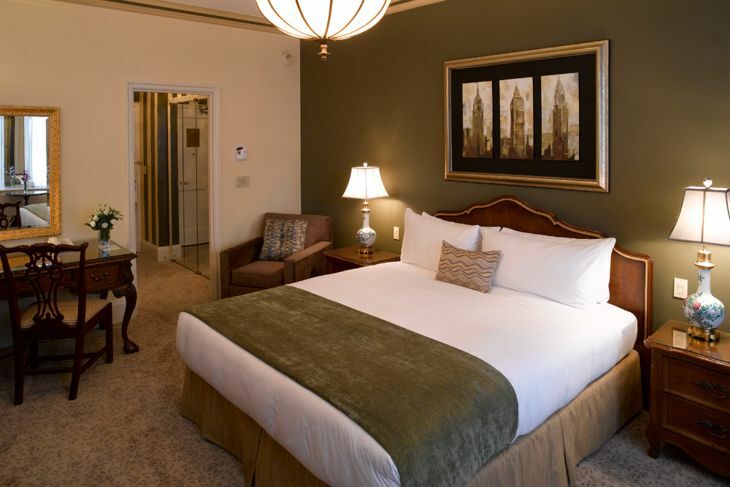 The urbane 208-room Quin hotel opened down the street last earlier this month.